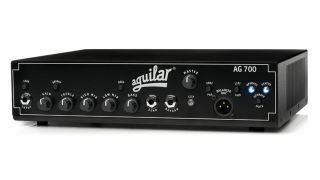 Bass amp supremo Aguilar has dropped its latest head, the AG700, which delivers a 700-watt output from a 2.22kg enclosure. Compatible with four and eight-ohm cabinets, the AG700 promises the dynamic range, clarity and fast transient response of the AG500, but adds increased low-end power and greater headroom. 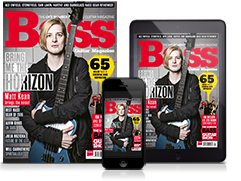 A host of EQ options are included, including treble, high mid, low mid and bass, as well as deep and bright buttons. Elsewhere, the head packs a series effects loop, which can add up to 6dB of additional gain, while universal mains power means no international voltage-switching hassles. The AG700 is available now for £1,169 - head over to Aguilar for more info.